Intuition was the highest art of the Samurai. Intuition is also the highest art in management. A lot of today’s successful Japanese enterprises have their origin in Samurai families. It is proved that the economic rise of Japan after World War II can be ascribed to the spirit and the lived values of the Samurai. For centuries, honour, respect, courage, determination, politeness and intuition gave the Samurai highest social reputation. 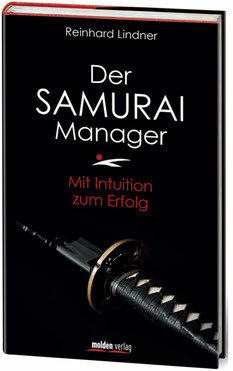 The Samurai Manager® discloses the secret of this success and transfers this knowledge into modern management. 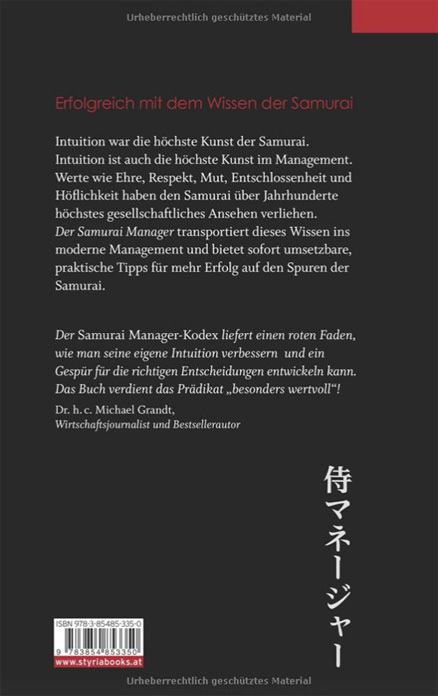 The business consultant and management trainer Reinhard Lindner offers – based on the principles of Japanese martial arts Budo – immediately realisable practical tips for more success in the footsteps of the Samurai and puts their principles and importance for today’s Western professional and economic life into the centre of his exposition. Now also available as an E-book. The author Reinhard Lindner, born in 1967, studies of economy (MBA) at Danube University Krems with a focus on Japan, studies of internationales management (Dr.) at European University, specialisation in human resource development. Since 1996, with about 4.000 seminars and approximately 30.000 participants, one of the most booked management trainers in German speaking countries; training courses in numerous Japanese major enterprises. Reinhard Lindner has been studying Budo in the form of Traditional Karate for 35 years and was a student of the „last Samurai“ Hidetaka Nishiyama. He won four European Cup tournaments and led the Austrian Junior National Team to the European championship title. ISBN: 978-3-85485-335-0, size: 13,9 x 3 x 22,1 cm. Prize 29,99 Euro. Polish edition: Please order here! 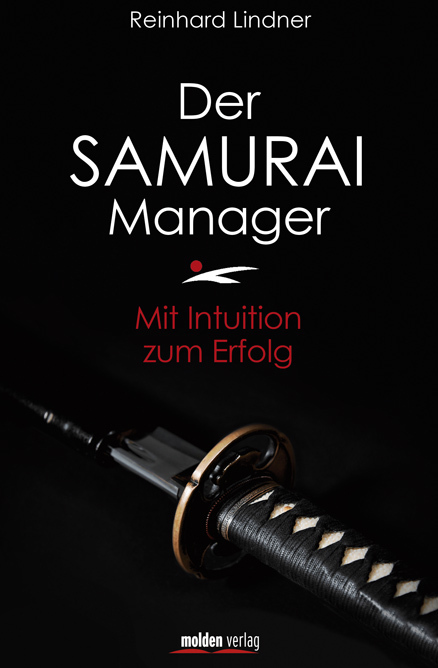 Congratulations to your book “Der Samurai Manager – with Intuition to success"! It’s expanding the horizon, is informative and close to the real life! 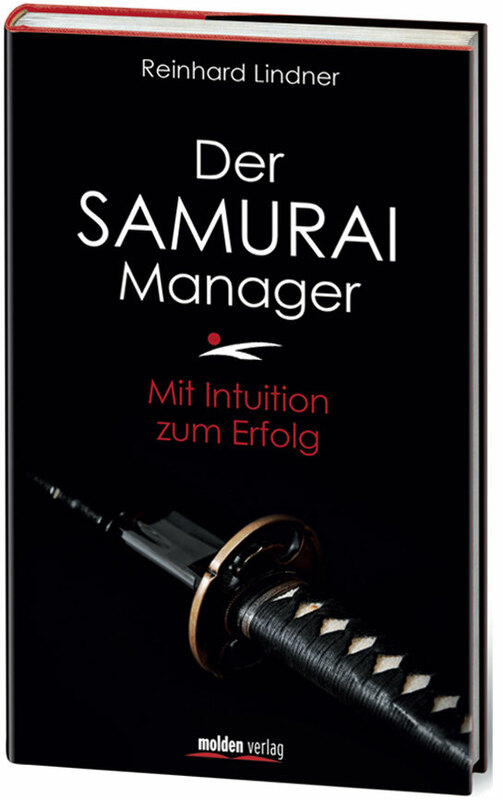 Very good description of the samurai world and their values living in Japans before-industrialization time - Very good intermediation of Samurai values transferred in today's management world - Excellent clear and with lasting impact description of each samurai values - Excellent suitable management reference book particularly regarding negotiation techniques and management practice - Impressive interviews with European and Asian managers at top management level. - Very authentic and impressive experience reports from the life of the author, Reinhard Lindner. A very good, exciting book with systematic instructions how to activate successfully and sustainable your gut feeling, your intuition, through systematic training. This book should have a permanent place on every manager desk!